Virgin Australia has commenced a revamp of its Velocity frequent flyer program, following up yesterday's announcement of a new elite Velocity Platinum level with an overhaul of how the airline awards the 'status credits' which help members attain higher-privilege tiers of the Velocity scheme. Today's changes making the Velocity status credit system more comparable to that of Qantas, but also with some big advantages. Here's a breakdown of what you need to know. The most significant change is that Virgin Australia now uses a rolling 365 day window for calculating how many status credits its Velocity members have, rather than expiring them in bulk on a fixed date every 12 months as Qantas does (and Virgin Blue used to do). With Virgin Australia's new system, only status credits from trips that were 12 months ago to the day will be expired, with this assessment taking place on a daily basis. As a result, some Velocity members will see their status credit balances effectively increase today as the airline reinstates some status credits that have previously expired under the old plan. However, status credit balances will fluctuate more often than they did before. 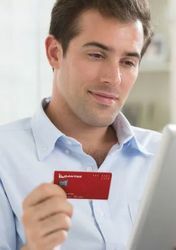 The fixed 12 month reassessment formerly used by Virgin Blue and still employed by Qantas means that status credit balances build up throughout the 12 month membership period before suddenly dropping when all the credits earned over the year expire in one lump. Under Virgin Australia's new system, with status credits assessed every day members' status credit balances will fall on a regular basis. This doesn't mean that members risk losing their Velocity membership level on a daily basis, though. Virgin will only reassess members' membership level 12 months after a member attained a new level, ensuring that any membership level upgrade will last a full year. Virgin's frequent flyer program used to be entirely geared towards getting you to spend the maximum amount of money – which is good business for the airline but not as attractive to passengers when compared to other frequent flyer programs. Both points and status credits used to be allocated based on how many dollars the ticket price was. Virgin Australia has now stepped away from that model and will allow status credits to be earned under a more conventional model of a fixed number of status credits based on the distance and the cabin class flown. The airline says this will make it easier for passengers to plan their trips with Virgin to achieve their target membership level, rather than hoping they'll end up spending enough with the airline. However, Velocity points are still earned based on the number of dollars you spend. The Velocity program previously made no allowance for people who fell a little short of the required number of status credits to re-qualify for a silver or gold membership. That approach has now been done away with, with a reduced status credit levels required to retain a membership level. Gold members who would have had to earn 500 status credits a year to qualify now only have to earn 400 status credits to hang on to the membership level. Likewise, silver members will only need to earn 200 status credits rather than the 250 for full qualification. That's not quite as good as it sounds, though, as under the previous rules, achieve and retain silver were both only the equivalent of 200 status credits. As a concession to people who might have been close to achieving silver, Virgin is allowing people to qualify for silver for the first time by earning just 200 status credits, until the end of the year. To make it easier to compare your Velocity status balance against Qantas and other frequent flyer schemes, Virgin Australia has effectively revalued status credits. The number of status credits each member earns and holds across the board has been divided by 100 - so, if your Velocity balance was previously 10,000 status credits, it will now be 100. Overall, the changes make Velocity silver and gold membership much easier to attain than the equivalent Qantas Frequent Flyer levels. Qantas requires passengers to earn 300 status credits to achieve silver, and 700 to achieve gold. Virgin's 250 and 500 respective threshholds mean considerably less flying is required to get access to the airline's privileges. 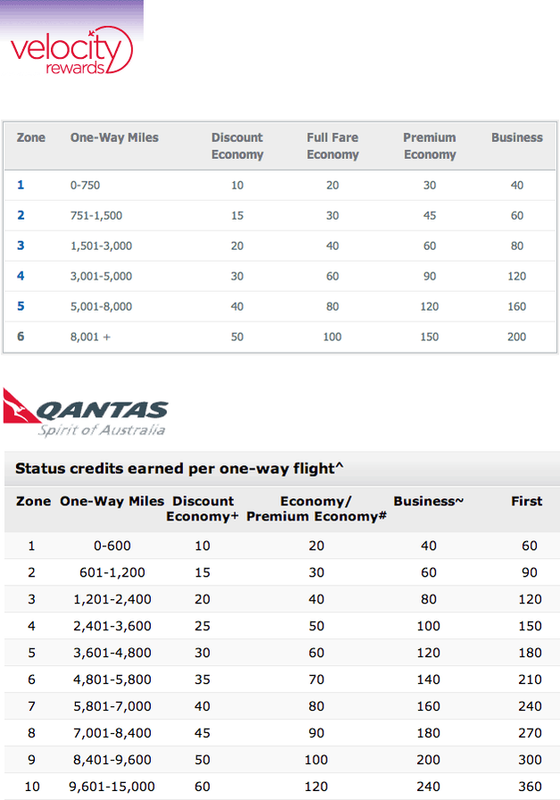 That being said, Virgin's status credit earning isn't exactly the same as Qantas' -- the mileage threshholds are different -- so it's possible passengers won't earn as many status credits on some routes as they might on Qantas. The Virgin status credits table also doesn't mention first class tiers, even though some of Virgin's airline partners do offer first class cabins. Dan is a tech enthusiast who frequently qualifies for enhanced airport security screening due to the number of cords and gadgets stuffed into his cabin bag. If you've "totally lost interest" why are you posting? 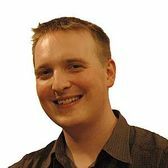 "I've almost totally lost interest"
AM: they definitely are doing the dripfeed approach instead of the big bang, which is of course frustrating from a frequent flyer perspective but works for Virgin Australia from a PR and competitive perspective. As was the case with our airline relaunch, it is actually physically impossible to relaunch all areas at once as some would prefer. Take for example, over the weekend our Velocity rewards website needing to be taken offline to upgrade - to enable us to provide the bells and whistles for the actual launch. This has to happen prior, hence the news our a new tier, Platinum. David, we can assure you that come 'later in the year' - there will be a day that you will be having to write a long glowing piece about us! Also, where you say "The Velocity program previously showed no mercy to people who fell a little short of the required number of status credits to qualify for a silver or gold membership" - we believe that we showed our members far more latitude than you suggest. Now with the changes that have come about with our frequent flyer program, and utilising a Daily Status Review, members will have even more oportunity to upgrade to the next level of membership. But of course it is a member-by-member case-by-case basis, if we were to blanket upgrade everyone, there would have been little point in setting the original level. The use of the words "no mercy" are a little misleading here. Trying to take cheap shots Dan? Wasnt AUSBT meant to be unbiased? Choose your words carefully. Totally intended as hyperbolic humour -- not serious! Apologies if it came across that way. Comment on "Virgin Australia's Velocity Rewards: the revamp has begun"